This is a cute shirt for fencing fans. Panda has his foil ready for a fencing match! 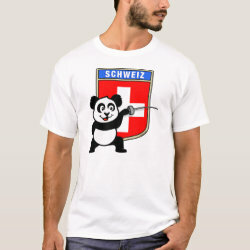 Support the Swiss Fencing Team or your favorite fencer with this cute Fencing Panda t-shirt!